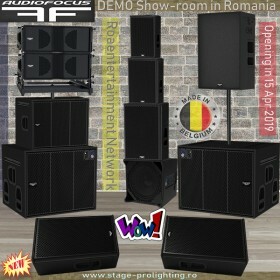 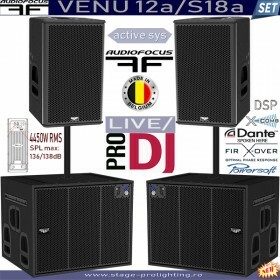 Sistemul produs de AudioFocus din Belgia, dezvolta o putere de 17kW RMS, avand un maxim SPL pe joase de 142dB si 139,5dB pentru medii-inalte, raspunde in banda de frecvente 45Hz - 20000 Hz, fiind realmente un sistem HQ - HiFi, excelent pentru sonorizari, sau evenimente cu pana la 1500 de persoane. 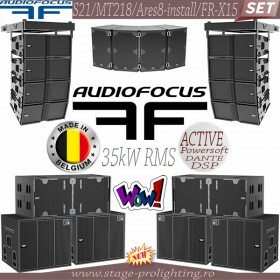 Poate fi adus in numai 5 zile, import intracomunitar, plata integral anticipat si este acceptata si achizitia prin Fonduri Europene. 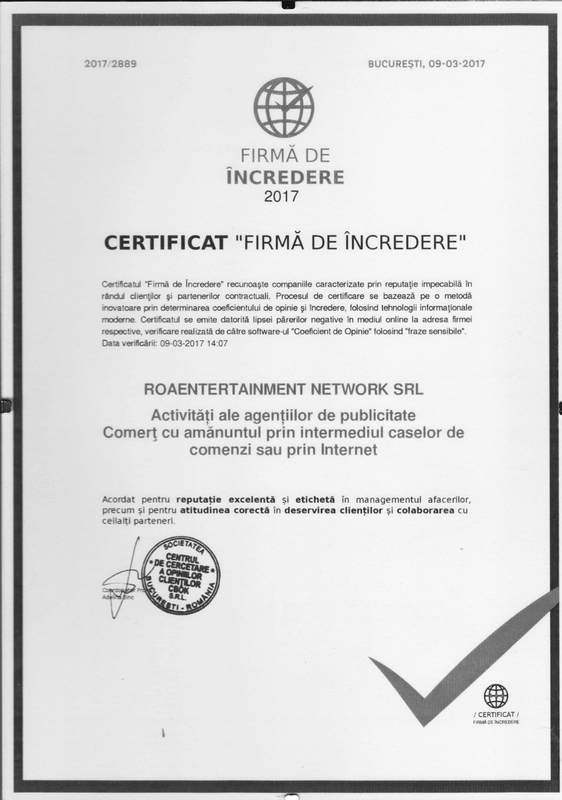 Pentru informatii legate de pret, va rugam sunati la magazin. 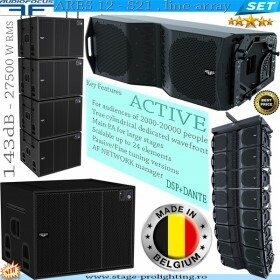 MTsub218 MKII is a powerful state-of-the-art subwoofer designed for a wide range of sound reinforcement applications from outdoor events and concert halls to theatres where high-end sound quality and return on investment are crucial. 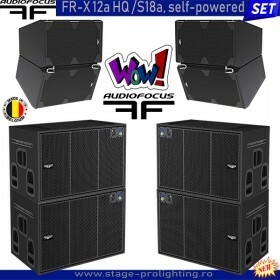 Dual 18’’ Faital Pro offers efficiency of 106dBspl 1W/1m 2pisr and a wide bandwidth 40-110Hz @-3dBspl. 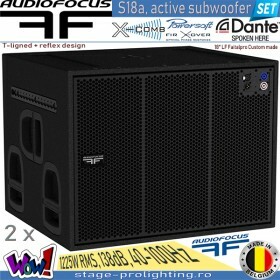 Power handling of MTsub218 MKII sub bass is 1400Wrms and active version is capable to reach 2000 Wrms due to its internal high quality Powersoft Digital amplifier. 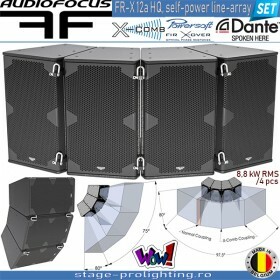 The design of this subwoofer is absolutely unique and has been made by our R&D department to ensure an exceptional sensitivity. 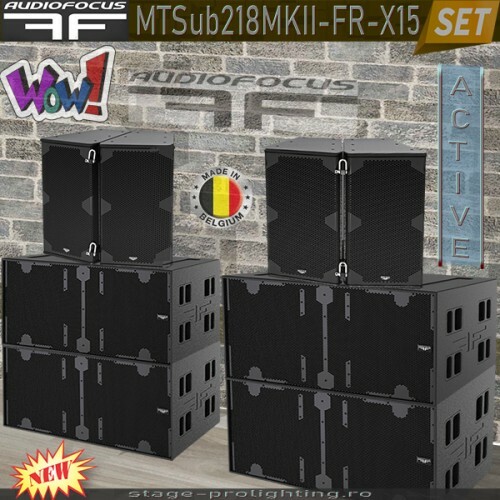 Thank to this specific principle, MTSub218 MKII has a more powerful throw than competitors. 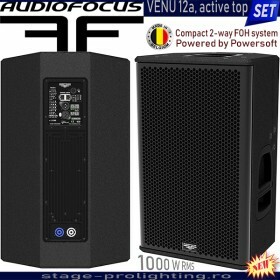 The passive version can be managed with Lake, XTA, Matrix Media or Q-Sys but we recommend Powersoft amplifiers with custom presets especially prepared for Audiofocus Mtsub218 MKII. 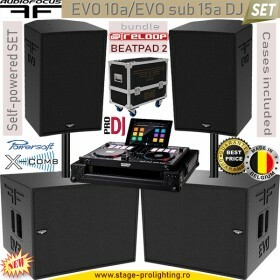 Plug & Play version offers to the user a full secured and easy to setup subwoofer. 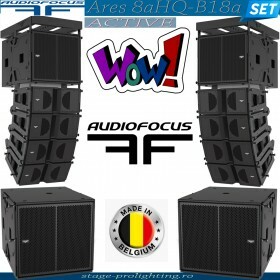 The perfect matching between Powersoft module and transducers gives high damping, punch and deep reproduction of the sound. 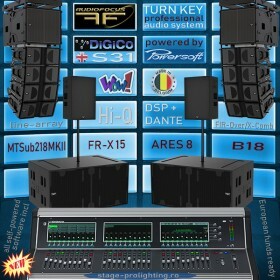 The internal DSP treatment is managed with 4 clever preset including cardio mode.